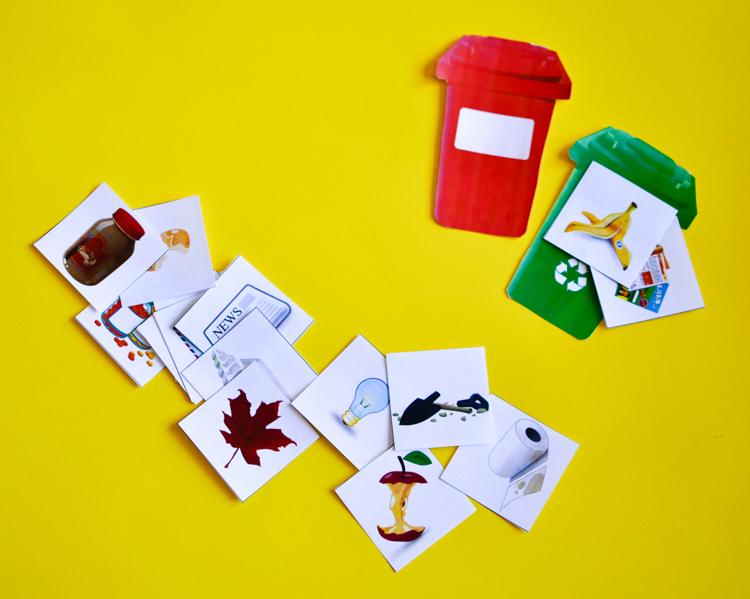 As an Earth day activity or to get yourself acquainted with the recycling program in a new neighbourhood, a recycling game is a fun way to introduce kids to the basics (and complications!) of re-purposing waste. Also check our new Recycling Games Bundle! To me, recycling has always seemed like a large-scale sorting game for adults. Sometimes the rules can be pretty tricky, but when I get it right there is a brief sense of satisfaction, as if I have just cracked a mathematical problem. Yahoo, I put this egg carton in the right basket! With that in mind, it only seemed logical to make recycling into a printable sorting game for kids to practice on a small scale. After all, even a toddler is capable of picking up a scrap of paper off the floor and carrying it to the bin. But what bin should he put it in? 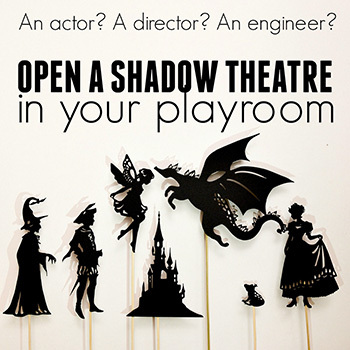 Now, that’s the question! In our previous neighbourhood, there were five different bins! If a scrap of paper happened to be gift wrapping paper after a holiday frenzy, it had to go in the garbage. Paper towel scrap went into a compost bin, and a piece of plain printing paper would go into a “grey bin” where paper waste actually belonged. Besides these three, there was also a “blue bin” for plastics and “red bin” for hazardous materials. In our previous neighbourhood, envelopes and newspapers went with paper, but a brown paper bag went with compost. After we had moved a few months ago, it was almost a disappointment to find that our current neighbourhood only uses two official bins. Aside from plain garbage, there is a bin where all the plastic, paper and glass go. We couldn’t quite bear with such a loss, so we organized our own little compost bin for garden use, as well. Even with the reduced number of bins, recycling programs usually have a few different rules and exceptions, and simply remembering to recycle plastic, paper and glass doesn’t work. For instance, broken glass should still go in the garbage, and not all the plastics are recyclable. Old-style light bulbs go in the garbage, but fluorescent light bulbs should be disposed of as hazardous materials. And while practice usually makes perfect, sitting down and playing a recycling game with kids may be a good idea to introduce them to the idea behind recycling programs and to see how well they understand the intricacies of garbage disposal. All three of these objects are mostly glass, but none are recyclable! Prepare a number of bins to match the amount of bins your neighbourhood uses. For a simple version, try just two bins: household waste and recyclables. Put all the tokens face down on the table. Each player picks up one random token and decides which bin to place it into. Correct answers get one point, and the person with the most points at the end of the game wins. While the game is more educational than creative and fun, something about the topic of garbage rather appeals to kids, so I got a lot of giggles from my son as he sorted through the pictures! The free game includes: 15 cards of items to recycle & 2 bins. 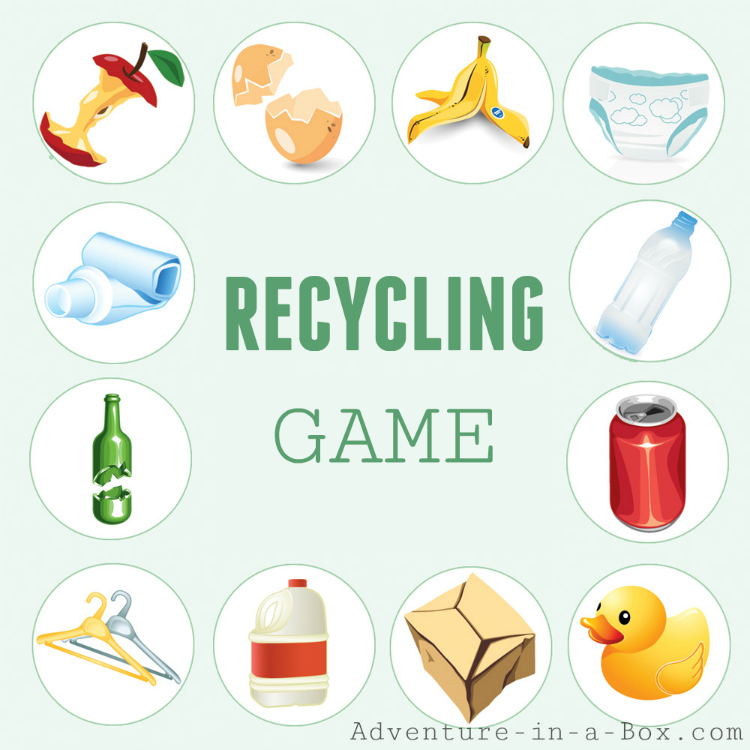 The full game includes: 60 cards of items to recycle, 6 bins, and two ways to play. 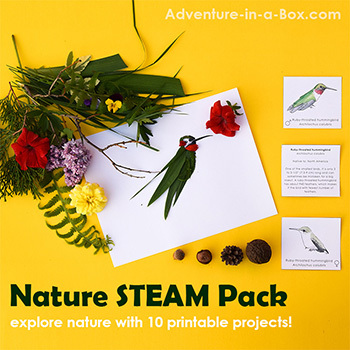 60 cards come in two variants: picture only (for children who cannot read and for the use in non-English-speaking environment) and picture + description in English. The full game also comes with a general answer key with suggested answers for every item! You can also get the full game as a part of Recycling Games Bundle. 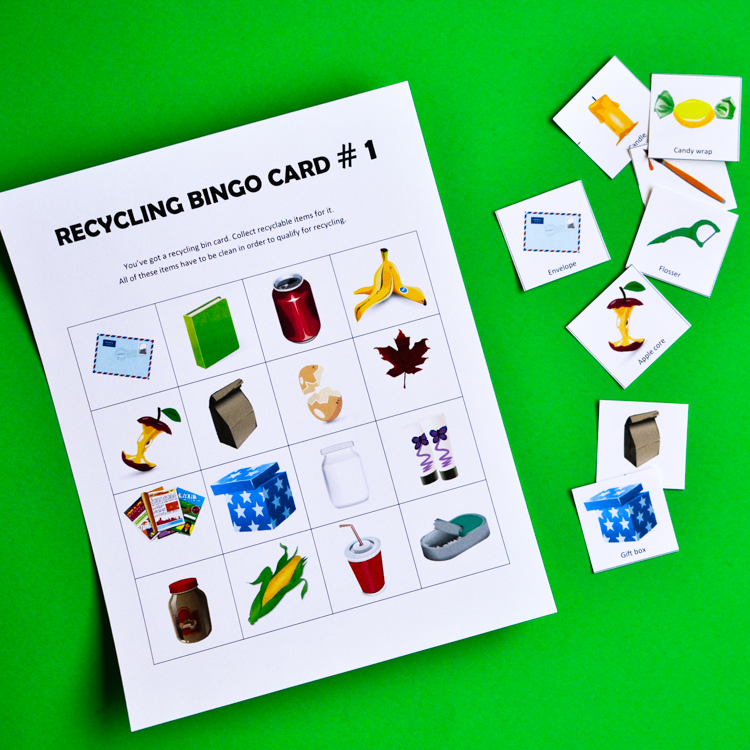 It includes this Recycling Sorting Game, as well as Recycling Bingo Game, Recycling Scavenger Hunt and Recycling I Spy Games. 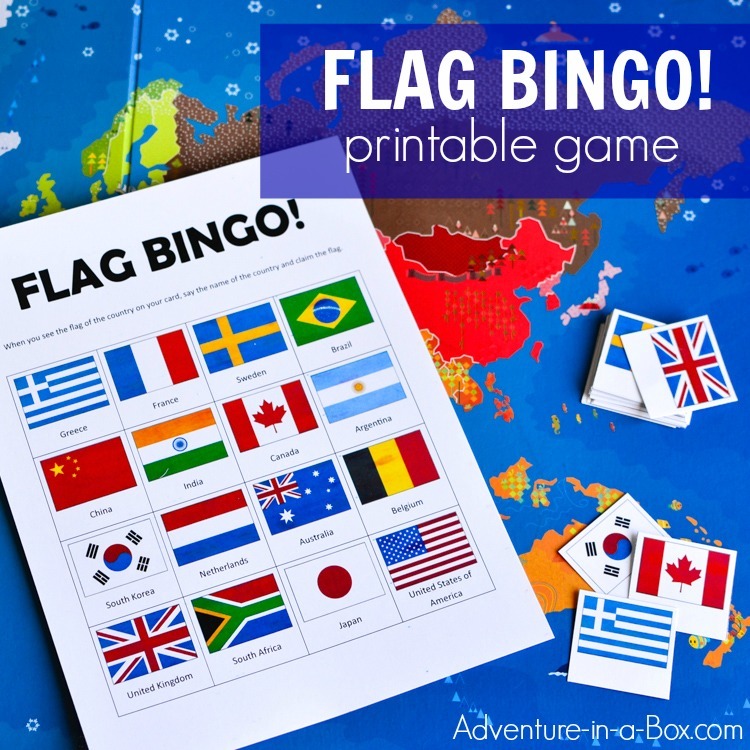 Learn about flags of the world by playing Flag Bingo! 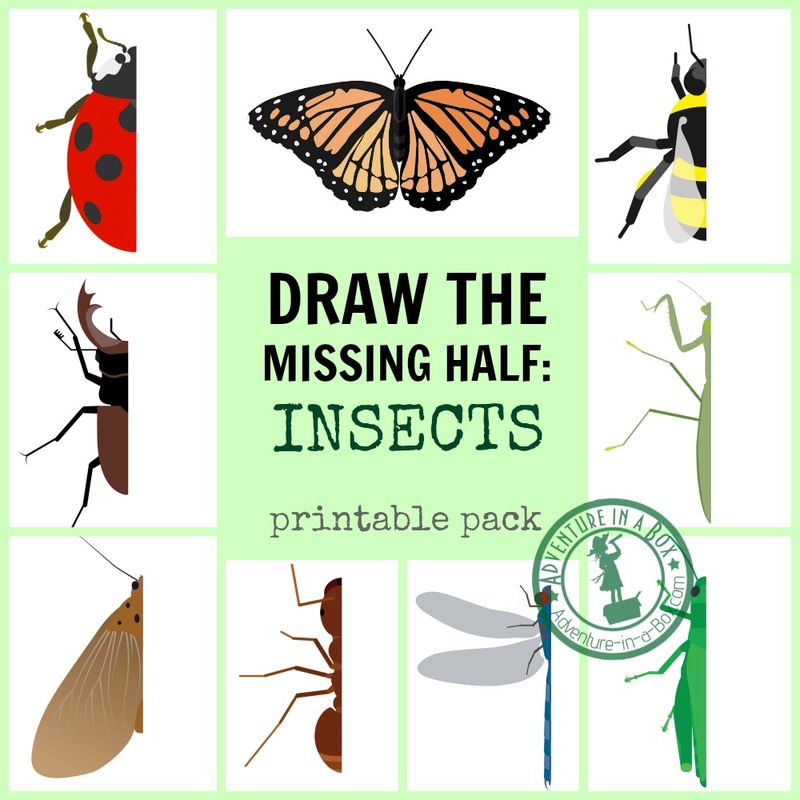 Symmetry, insects and art – you can study all of them with this printable art prompt. Draw the missing half to make the picture complete! Hey! 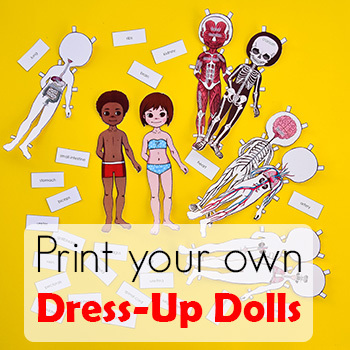 Thanks for sharing this recyclying activity with me! I was wondering if there is an answer key for this activity as I am not too sure myself where certain recyclables go. 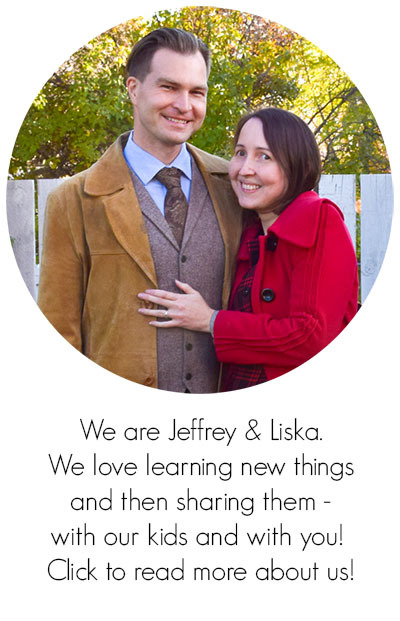 Hope to hear from you soon and thanks in advance. I’m afraid, from my experience of living in different neighbourhoods, there is just no way to have a key for this game. The rules are different everywhere! It’s however interesting to look up your neighbourhood’s policies on-line and try to sort the items from the game, according to them.